300 metres from my house, the habitats of protected species are being destroyed to extract coal; fuelling climate change and lining the pockets of the mining company, Banks Group. Banks Group has committed crimes against wildlife, and the government let them continue their destructive project, despite claiming to be ‘powering past coal’. So far we've won public enquiries, camped in the snow, documented protected species on the site and more. We will use every tool available to us to stop the opencast and challenge the power of fossil fuel companies. The Secretary of State provided no reasoning or evidence to justify upholding Banks’ permit, when myself and my community put forward arguments as to why it should be revoked. We're going to put his decision through a legal test. This summer, a judge concluded that there wasn't enough evidence to prove Banks is not committing a wildlife crime in Pont Valley. Protectors who had camped in the valley were successful in their defence that they acted to prevent a wildlife crime. Based on this we beleive we have the stronger arguments against the opencast, and against Banks' 'Development with Care' image. National and local government has failed us - we need to take this to the courts. Coal extraction has started in one part of the site, but the north-eastern section is not due to be worked until around May 2019. There is still some of the Pont Valley which can be saved. By putting the Secretary of State's decision to a legal test, we will seek a verdict against the opencast to stop it for good. So there can be no doubt that their ‘development with care’ image is a myth. This will help our allies to challenge Banks’ other proposed sites in the region such as Druridge Bay. Through this campaign we’ve learned how common it is for developers to cherry pick evidence with the help of an ecologist, at the expense of protected species. Through this prosecution we aim to show that developers can be held accountable and that wider change is needed for safeguarding wildlife in the UK. With no explanation, they let Banks go ahead in spite of all the evidence, even as other opencasts were called in by the government or failed to win planning permission on the grounds of damage to climate, health and ecology. Without plausible, transparent, well-argued reasons, the Secretary of State cannot claim that this outcome is legally, politically, economically or morally acceptable. They mustn't be let off the hook, for the sake of other communities fighting opencast and dirty development. A private prosecution against Banks Group for wildlife crime of endangering the habitats of protected species. A Judicial Review of James Brokenshire (Sec State Communities)’s verdict to allow the opencast to go ahead. What’s the chance of success? High for the private prosecution against Banks for wildlife crime; A judge already ruled in favour of the Pont Valley Protection Camp, on the basis that Banks Group couldn’t present sufficient evidence to prove that endangered species were not on the site. For the judicial review holding the Secretary of State accountable; launching it in itself will enforce transparency around the Secretary of State’s decision. 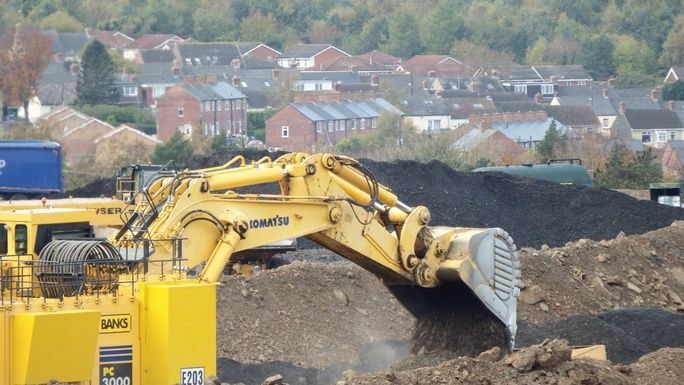 The likelihood of getting the opencast stopped won’t be known until we get part way through the process. To begin, we need you to pledge in the knowledge that whether or not we can stop the opencast, there is more we can win for other campaigns against opencast in the process. If it’s looking positive at the end of the first stage of the judicial review, then we may need to set a new target for the next stages and raise more funds. Taking the government AND a corporation to court is a bold move. It’s going to be a new journey with many highs and lows, and we can’t do it without you. Legal battles are expensive. The success will be determined by how many people are willing to get behind us. It's our last chance to save what is left of the Valley - but this is bigger than that. It’s a unique opportunity to set a legal precedent to reign in the power of dirty development and make our government act accountably when there is so much at stake for wildlife and the climate. Myself and my community have lead a 30 year fight for nature, the climate and health, against coal extraction in the Pont Valley. Our last chance is to take Banks Group and the government to court. This fundraiser is part of the "Pont Valley's legal battle for nature, climate & community" campaign. Together with other fundraisers, they've raised £7,346 so far!